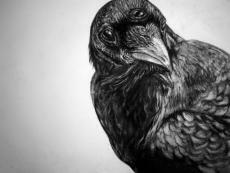 A poem inspired by The Raven by Edgar Allan Poe. Though it's not as lengthy..
Alas, I believe that this might be a curse! Short and beautiful, love the way the words fit into each other. Well done.